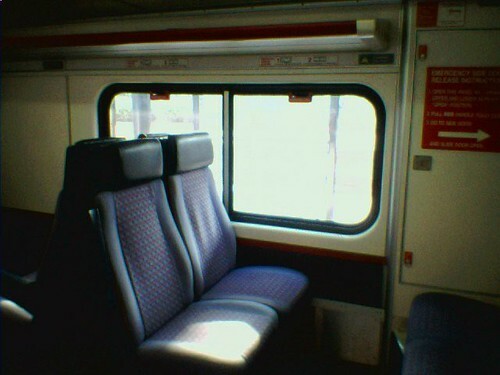 Seats on the MARC train. MARC stops at New Carrolton. 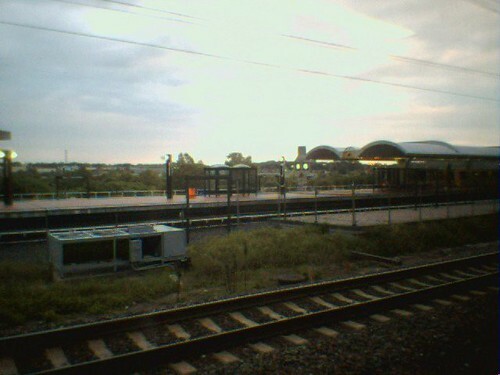 Metro station across the fence. 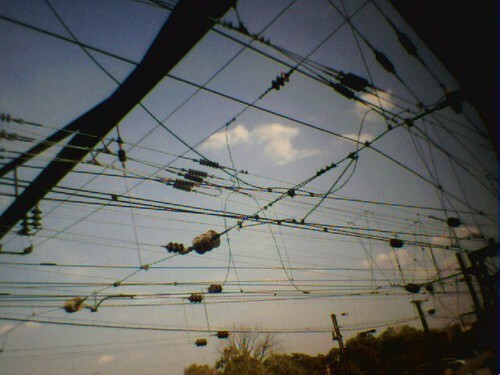 Tangled web of electrical cables for train engines over the approach to Union Station. 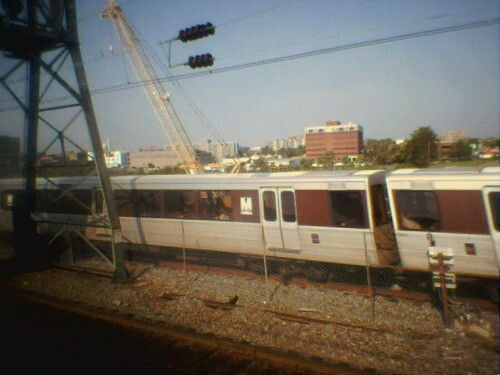 At this point, the commuter train has slowed down its approach to DC so that passing Metro trains overtake it. 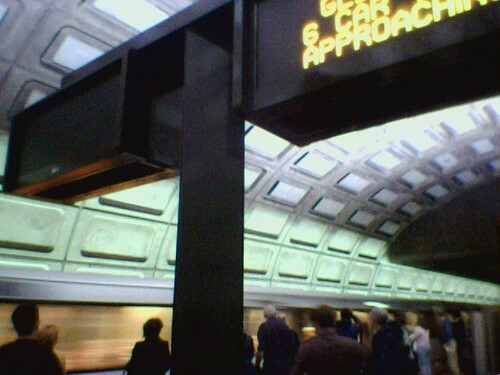 This will be the New York Ave Station one day. Photos taken with a Palm Zire 71.